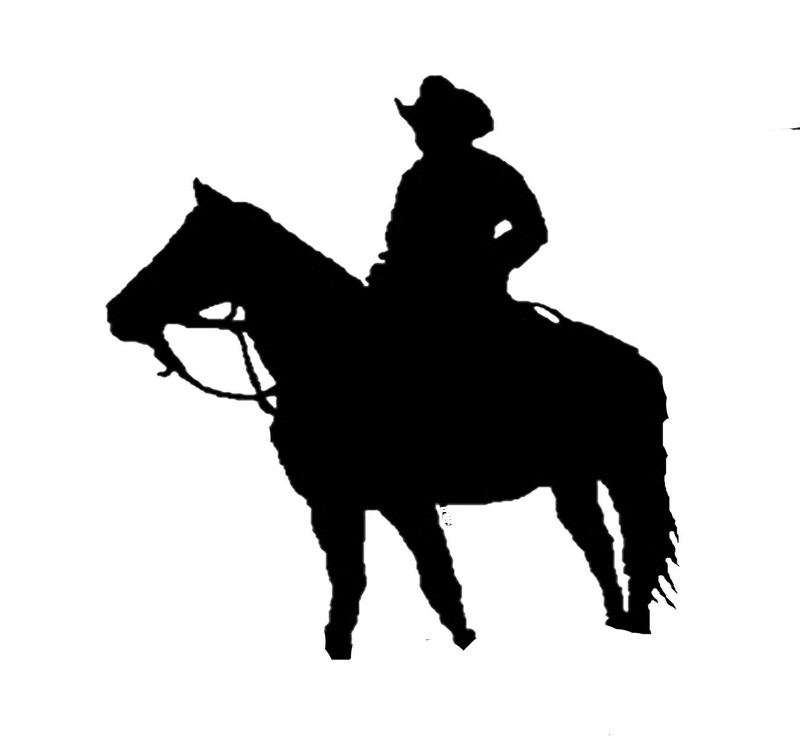 Word Art Wednesday and Family Friendly Challenge and a great Cowboy freebie! Thanks for stopping by and I hope you join in the fun! Ginny, I just absolutely LOVE this card. Thanks for sharing the silhouette image with us. I cannot wait to make a card or two for our family in Texas! Oh how awesome! 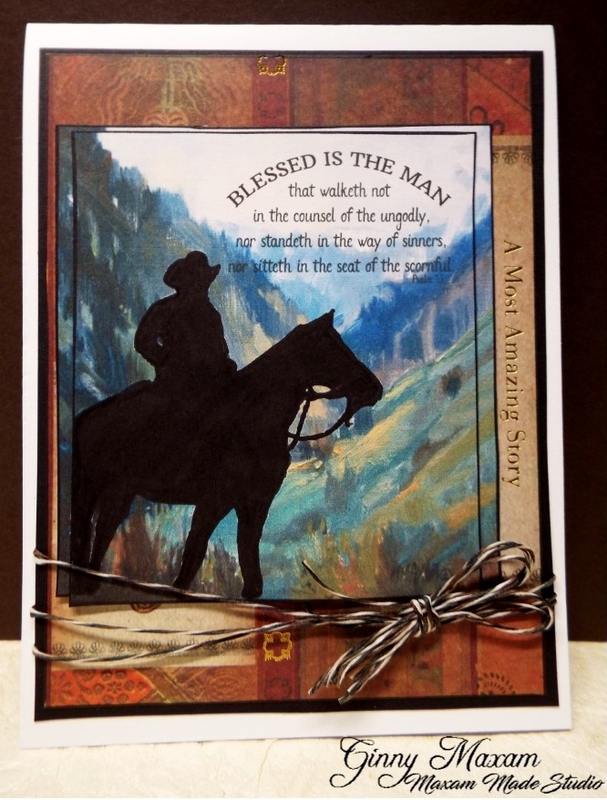 Love how you layered the silhouette over your image - perfect way showcase that verse! Love your dramatic card Ginny - and thank you so much for the freebie. 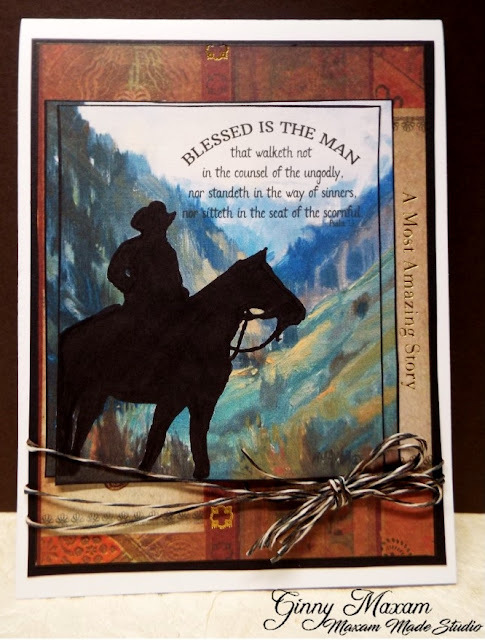 Love this masculine card! It really is a stunning background and I love the layout!